Digitalisation. 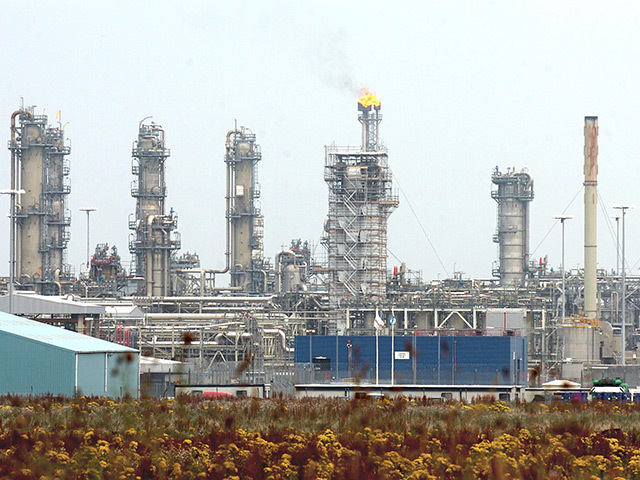 Image courtesy of Aker Solutions. Industry experts from Petrotechnics, McKinsey Energy Insights, Airswift and Reliance got together for a roundtable discussion to provide insight on the theme of digitalisation. Do you think the hype and promise around digitalisation in the oil and gas sector is justified? Janette Marx: Straight up – yes, I do. There will be big enhancements and breakthroughs when it comes to productivity and safety, which is why the industry focused on it even during the downturn. It will lead to more gratifying high-level roles that take analytical and problem-solving skills to a new level. Richard Ward: Certainly, if you judge by the amount of marketing going on. Is it real? Yes. Nearly every oil major, plus many independents are looking at the technology stack and evaluating their options. The financial sector has gone over to the cloud – that’s pretty much convinced everyone. Scott Lehmann: Absolutely, the promise and the potential are justified. However, I would add a caveat. New technology is a tool, it’s not the solution in itself. So for example, just expecting analytics to magically provide insight and connect the dots is a first-class ticket to disillusionment. Mat Malladi: I think it’s a bit like a hammer looking for a nail. In downstream manufacturing, a lot of hardware and software investments have already been made and interconnected. If you bring AI or IoT into the picture, you have to really define the challenge that it can solve. SL: Any time there’s hype like this, you have to keep a level head. Digitalization is absolutely not a sure-fire salvation. You can’t just spend money, plug it in and expect results. It isn’t going to change your business fundamentals by itself. RW: And these things aren’t overnight projects. But the time is right, organisations are ready for it, they haven’t done any real technology projects for a long time, they’re tired of cost-cutting, and this could dramatically transform their business. Is digitalization impacting traditional business models in the sector? SL: It’s already having an impact on operating models and market supply chains. But for many larger companies there are layers and layers of decentralised processes and technologies and systems. That comes with a sort of inertia and hierarchy. Add in all the vendor hype and marketing claims and general confusion about what to do, and progress is really difficult. RW: I actually think we’re going to see big impacts on vendors. At the moment they are selling a physical product or providing a service. Once you are able to fully capture the location and status of those two things you can re-jig the business model. Location and status are the key. Track those and you can start to get really responsive with real-time demand pricing for services and so on. JM: It’s certainly going to impact talent acquisition business models. Recruiters will focus on strengthening their deep networks and relationships because that human touch will always be needed. Yet, digital technology will shape the way we engage with candidates throughout the hiring process. Embracing new technologies in the recruitment cycle can give tech savvy companies the edge. 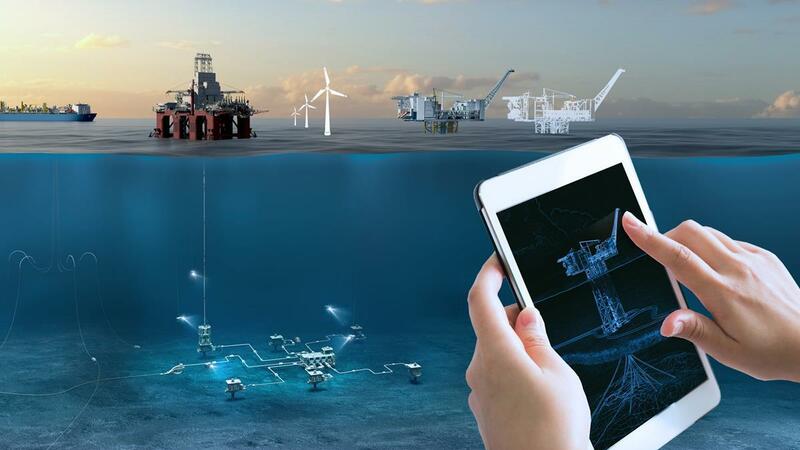 What are the biggest opportunities presented by digitalisation for the hydrocarbon sector today, and what will they be in the next three years? SL: In some ways we have too much data, not enough context and not enough insight. So, the biggest opportunities today are about making that data work for us to create meaningful insight. If we have that, we can start to arm people with the right information at the right time. RW: Our analysis shows very clearly that the biggest opportunity is with advanced analytics and machine learning. 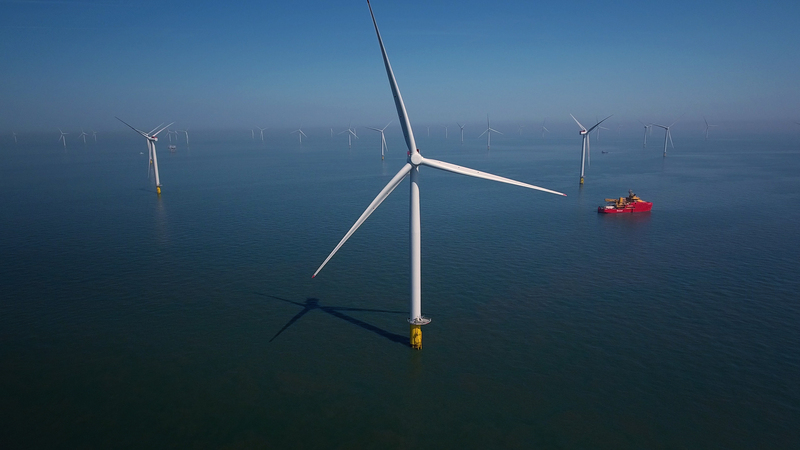 We calculated that if operators in the North Sea implemented the full digital stack – IoT, soft automation, machine learning and advanced analytics – it could be worth $11 per barrel. About 60% of that comes from advanced analytics. That’s simply a case of being able to forecast better and analyse more options when making decisions. MM: I would say that trying to get more out of the existing architecture and any applications will have a higher probability of success than anything else. JM: I think it’s giving people a chance to use more skills and be more fulfilled at work right now. Our Global Energy Talent index (GETI), which measured industry attitudes towards digitalization shows that 33 per cent of professionals in the sector are happier now than three years ago. And that’s down to digitally-enabled trends like flexible working which ranked as the second top factor influencing happiness. Not only does that aid recruitment and retention but increases productivity, with two thirds of workers seeing this as a leading benefit of digitalization. With centres of excellence and larger groups doing remote work already established, in the next three years I can see it going even further. The sky’s the limit. SL: Building a digital business is not just throwing a bunch of technology together, it’s really about what you are trying to do with the business. So, in three years you should have a clear direction and a very solid digital foundation from which you can build out AI, machine learning and predictive analytics to add real value. But firms do need to get started: you can’t play catch up because things will change very quickly. Are organisations taking digitalization far enough? JM: Judging by the conversations I’ve had, they are very focused on it. Where perhaps the industry needs to go further is the way it promotes culture and brand. There’s a perception – right or wrong – that the oil and gas sector is not as tech savvy as others. They are going to compete for some of same IT talent, so the more they increase awareness about the culture of innovation, the more they will be able to recruit. RW: It’s too early to tell. After we get two or three years into some of these programmes, we’ll find out if firms think they’ve done enough, whether they want to dig in further and reach more of their original objectives, or whether they’ve discovered a whole new horizon of things they want to do. We’ll be in a better position to see where firms are going this time next year. MM: I’d say most are just tweaking round edges at the moment, not knowing exactly the long-term utility of digitalization. Companies that integrate new technologies with existing architecture with less pain do succeed. SL: A recent Gartner survey showed only 9% felt their company was doing digital transformation at scale. The majority are optimising around the edges, looking over their shoulders and doing just enough without making any big bets. Of course, the hype doesn’t help. Among all the confused messages, for many it might seem safer to digitize the status quo. What are the biggest barriers to digitising at scale? RW: For me, it’s the uncertainty of the economic value case. The direct reduction of IT cost, like cutting data costs by 30% by moving to the cloud is very appealing. But we’ve seen situations where the potential value for moving to predictive maintenance is as much as 20-30% of total maintenance budgets. Which is a much harder sell as it requires diligence, persistence and change. MM: There’s no shortage of interest in anything that improves profitability, safety and productivity. Any resistance comes from not knowing how it will really help various aspects of people’s day-to-day experience, the total impact of the technology, or the value-to-cost. The majority of companies don’t have a testing lab where they can pilot new technology on their current architecture, to verify its benefits before making an investment. That process of taking new technology to commercialisation is missing. SL: People are probably one of the most recognisable barriers. It’s also the most difficult because AI, robots and automation can be seen as dehumanising. Then there’s people in leadership. Without early buy-in from employee representatives you’re setting yourself up for difficulty because people may see digitalization as a threat rather than as a tool to empowering them to do their jobs better, safer and more efficiently. JM: There’s some lingering scepticism after the downturn. And there’s the skills gap and an outdated market perception to overcome. But I agree: it really boils down to people. If people embrace it, they’ll see great advancements. When people are open to change, great things can happen. What role will people and organisational culture play in the effectiveness of digital transformation efforts? SL: People will probably be the biggest determining factor of how fast and how successful digitalization is – it’s not going to be successful unless the workforce adopts it. So, it needs to be made usable, tangible, and practical. People have to see what it can do for them. It also has to be driven and backed from the top. Otherwise is can just end up as a digital sideshow for innovation directors. JM: I agree: people and organisational culture play a vital role in the effectiveness of any digital transformation project – and it needs to be paced so people remain enthusiastic and don’t feel left behind. RW: At its core, this is all about people and the organisation. We’re going to require almost every layer of the organisation to become more numerically literate and more statistically literate. They need to know what to do when the model says there’s an 87.2% chance of something happening within the next 15 days. That’s very different from a straight-up KPI or a yes/no decision. MM: Absolutely. It’s very important that there are champions that try to understand emerging trends and technologies, to determine what is needed in the organisation to understand, assimilate and apply the benefits. SL: Leadership is critically important and it’s more than just setting a digital strategy. If you’re going about it the right way, leadership needs to be there at every step of the way to help the organisation adapt and transform. Throwing technology at the business without understanding how it enables the strategy is just another project that is set up for failure. JM: The good news is that in our GETI report, more than three quarters of people surveyed saw it as a positive development – that bodes very well for our sector. How is your company digitalising and what challenges and successes have you had? SL: We’ve been looking at our entire business model. Processes, structure, reporting have all changed. We leveraged our 25+ years’ experience of industry best practice to implement an agile and intuitive approach to project management. We have improved intuitiveness and usability of user interfaces into our software and set up tooling to provide rapid configuration that everyone can use. In essence, it’s a small-scale version of what we’re encouraging and empowering our customers to do. MM: We are looking very carefully at what we need to do. Translating that into real operations requires middle management to educate themselves, organise themselves, follow the industry and do the necessary pilots for implementation. RW: Twenty years ago, a McKinsey Energy Insight team would be perfectly well equipped with an Excel spreadsheet, gathering data, and working through problems. Not now! I lead the data science team for the oil and gas business, and we do things like plugging into very large data sets and using advanced analytics to help our clients in a meaningful way. We have really made this big transition over the past few years. We now have 1,000+ people working in data science, because we’re doing so much in this area. JM: Airswift has been consolidating platforms to make it easier to work from front to back throughout the company. We’re investing in automated software and machine learning for our finance department. In pretty much every area, we’re looking at technology to enhance our own productivity. For example, we are looking at ways of using data to drive more candidates to us and pair them with the roles they are best suited for.